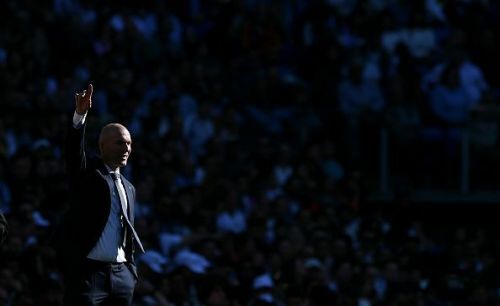 Real Madrid manager Zinedine Zidane has been handed a €450 million war chest for the upcoming summer transfer window. The Galacticos brought Zidane back to the club just 10 months after the Frenchman resigned from the job last summer. Zinedine Zidane left the club after winning the Champions League last season with the Galacticos. At the time, he stated that the Merengues needed a change in order to continue winning, which is why he decided to quit his job. “What I think is that this team needs to continue winning but I think it needs a change, a different voice, another methodology and that’s why I took this decision. “I love this club and the president who gave me the chance to play for this club and manage the club of my dreams. But everything changes and that’s why I’ve taken the decision to leave,” he said at the time of his departure. And now, Le10Sport claim that the Madrid boss has been handed a transfer budget of €450 million to renovate in the summer. The Frenchman, too, has made his list, prioritizing moves for Kylian Mbappe and Paul Pogba. The report also adds that the Galacticos have already taken the first steps to fulfil Zidane’s wishes. Should they fail with their plan A, however, Miralem Pjanic and Eden Hazard could be signed as plan B. While Real Madrid being interested in Kylian Mbappe is a certainty, linking Paul Pogba to the club certainly doesn’t fit the narrative. Real Madrid have only 10 games left in the season and will look to win them all and finish second in the league. After that, a summer of renovation awaits the Blancos.